A staunchly anti-EU party standing for the City of Edinburgh Council is a member of a far right group of political parties in Europe which receives funding from the European Commission, we can reveal. 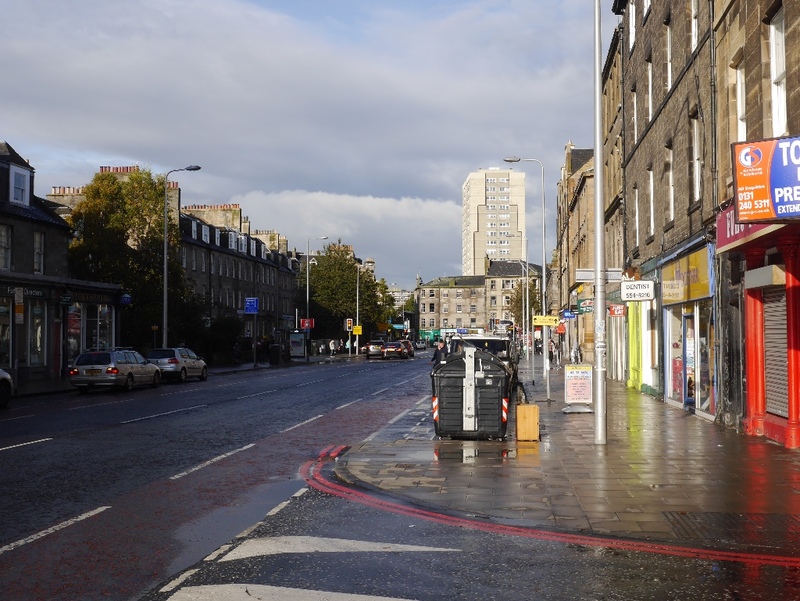 For Britain, which has a candidate in the Leith Walk by-election on 11 April, has been condemned as “shameless” for opposing the European Union whilst part of a political block that takes its money. The Leith by-election was triggered in February when Labour’s Marion Donaldson resigned, with eleven people seeking election to Edinburgh council. For Britain’s first ever candidate in Scotland is a former drama teacher called Paul Stirling. But political opponents have strongly criticised the party for hypocrisy in joining a pan-Europe grouping funded by an organisation it vehemently opposes. For Britain says it opposes European institutions but the fringe party recently joined the Movement for a Europe of Nations and Freedom (MENF) which rejects the EU. Its members include Austria’s far right Freedom Party, which has been linked to neo-Nazis, and the far right Lega Nord in Italy. MENF is an alliance of European political parties founded in 2014 and recognised by the European Parliament. In 2015 it received a grant of 1.17 million Euros. MENF’s board members include Marine Le Pen of the French Front National and British MEP Janice Atkinson, a former member of the Conservative Party who was later expelled from Ukip. Atkinson supported For Britain’s application to MENF. Announcing it had joined MENF, For Britain said: “For Britain are delighted to announce that our application to join the Movement for a Europe of Nations and Freedom has been successful. We welcome this opportunity to work more closely with like minded parties across Europe, and be part of a group that believes in sovereignty, identity, respect for the principle of democracy and freedoms. The anti-Islam For Britain party is led by Anne Marie Waters, who once ran for leadership of Ukip. She founded Sharia Watch UK, which has called Islam “evil”. Waters also launched anti-Islam organisation, Pegida UK, with former EDL leader Tommy Robinson in 2016, to counter what it called “the Islamisation of our countries”. During her campaign as a Ukip candidate for Lewisham East in 2015 she called for deportations, mosque closures and an end to immigration from majority-Muslim countries. Critics of For Britain include Nick Gardner, Labour’s candidate for the Leith Walk by-election. “Railing against the EU is a shameless move, but we should expect nothing less from a party that is associated with the far right,” he said. Lorna Slater, Scottish Green candidate for the Leith by-election, said: “Like most Leithers I’m shocked to have a fascist standing in this by-election and I have no-doubt he and his toxic dogma will be roundly rejected. Correction note: This story was updated on the day of publication to correct the spelling of Nick Gardner’s surname.